Are You Choosing to be a Reader? Some months when I read a set of books I will see a common theme. I don't usually plan for that to happen. This month was one of those months. A theme developed accidentally. See if you can decide what it is ( and I will tell you later)! I still remember playing foosball when I was a teenager. We lived overseas, in Germany. I was an Army kid! Yep, grew up in Germany where we lived on an Army base, went to American schools, and all of us were from the states. 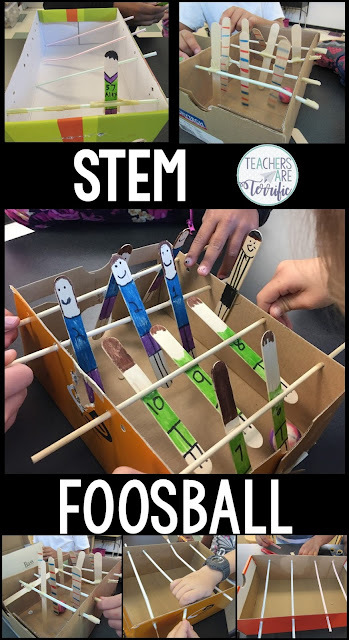 I could write a whole blog post on what it meant to grow up in that culture... but today we are talking all about foosball! This one was just amazingly fun! 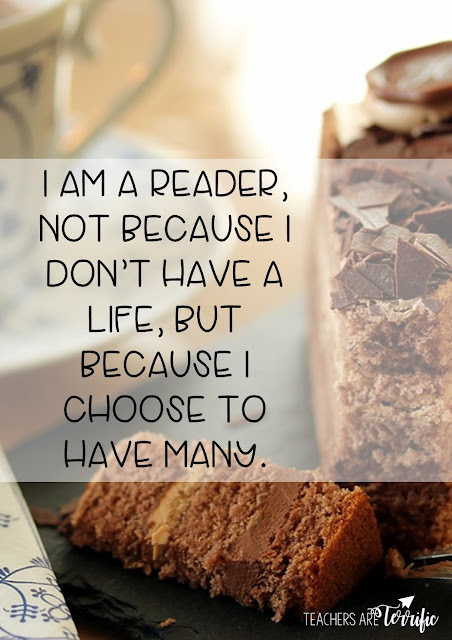 And, it's going to be fun for you too- especially because there is a freebie involved! Take a look! That's right. I love creating bulletin board displays. Here are some of my latest creations! Those little square boards are just too much fun! About two weeks ago a group of fifth graders asked me when we would be doing another Quest. They actually cheered when I told them I was working on a new one. This one was actually inspired by a family trip to Crested Butte during Christmas break. 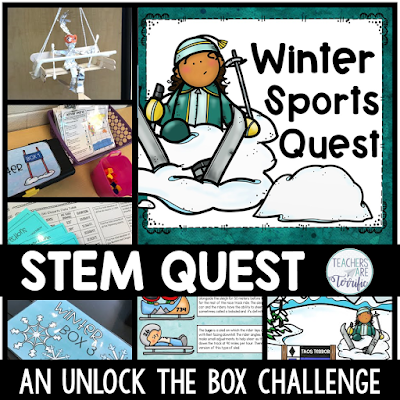 I started thinking about a STEM challenge while riding a lift to the top of the mountain and BAM this Quest and Challenge were born! It's based on all the sporting events that happen during the winter and also has a little inspiration from the upcoming sports celebrations in South Korea.